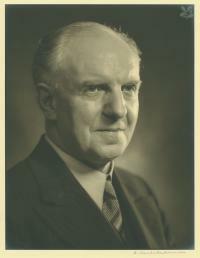 Frederick Marquis, Lord Woolton, was appointed Minister of Food in April 1940. 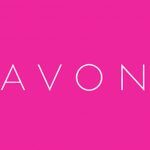 Lord Woolton was a former managing director of Lewis, a chain of stores in northern England. Lord Woolton created “The Kitchen Front” radio show, and he became very popular with the public while stressing the importance of meat-free dishes and making desserts without sugar (grated carrots were used as a sugar substitute to provide sweetness). 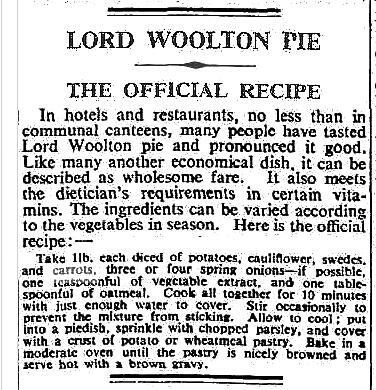 The Official recipe for Woolton Pie was reported in “The Times” on 26 April 1941. The pie was the invention of Francis Latry, the head chef at the Savoy Hotel in London. 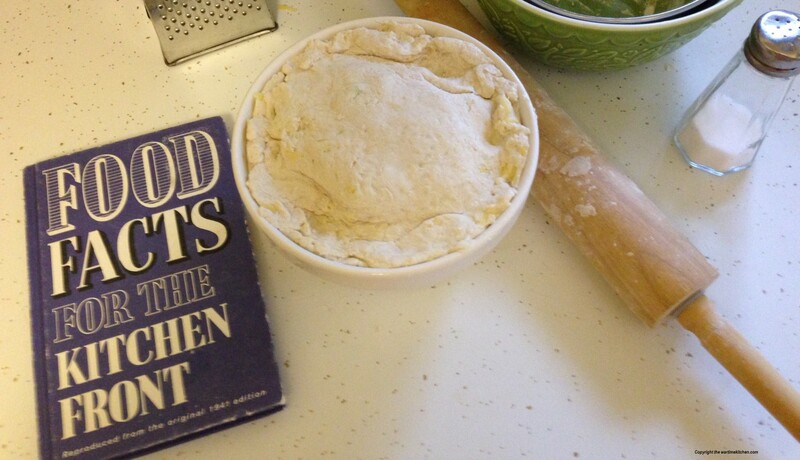 This was one of many recipes introduced to the British people by the Ministry of Food to ensure that a nutritional diet could be maintained despite so many food shortages. People either hated or loved it! Note: Swedes are rutabagas, and spring onions are scallions. Kitchen Bouquet can be used in place of the “vegetable extract.” The crust can be made of mashed potato or an easy pastry (a wartime pie crust) of 8 oz of wheat flour, 1 tsp baking powder, 1 tsp salt, 3 oz of margarine (or butter if you have saved your ration), and enough water to make the dough roll out easier. A moderate oven is about 350-375 degrees.